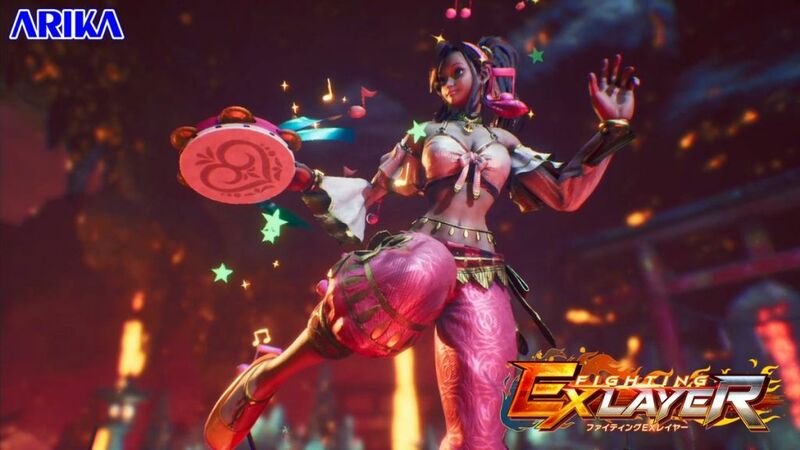 Arika has made a formal announcement earlier today regarding two upcoming for Fighting EX Layer DLC characters: Pullum Purnum and Vulcano Rosso. Both fighters are planned to be available for free and their release dates will be specified sometime during EVO 2018, (the world’s largest fighting game tournament) which will take place August 3rd, 2018 in Las Vegas, Nevada. These two fighters are returning veterans of Arika’s and Capcom’s original Street Fighter EX games. Pullum Purnum made her debut in Street Fighter EX and Vulcano Rosso debuted in Street Fighter EX 2 Plus. Now, after nearly 20 years, they’ll make a warm welcomed return in Fighting EX Layer. Returning veteran of the EX series, Vulcano Rosso. Fighting EX Layer is currently available on the PlayStation 4. However, Arika has mentioned that if the sales of the game do well then we could possibly see the game ported over to Windows as well.